The British Newspaper Archive is a website which makes available digital copies of British newspapers from the archives of the British Library (for a fee) and which has become a very valuable online resource for sports historians, including soccer historians. When Cyrille Regis assembled a team of black players to appear in Len Cantello’s testimonial match in 1979 this attracted considerable publicity. However, this was not the first occasion when an all-black team had turned out for in the late 1930s there was a team of black players from Cardiff, named, rather unimaginatively as Cardiff All Blacks. They were probably not the first team comprised solely of black players, for there may well have been teams playing recreationally elsewhere in this era, however they were the first black team to play against semi-professional opposition on a regular basis. 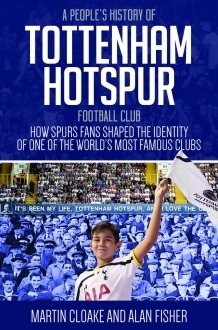 Rather than produce a history of the team and their exploits, authors Martin Cloake and Alan Fisher have instead turned their attention to a history of Tottenham Hotspur through the fans. In doing so they explore the questions of community, identity and the concept of what “the idea” of Tottenham Hotspur means.